We’ve all spent the last 20 years asking one big question: when are they going to do something about the pool? That’s a good question too. However, the answer to this one is actually pretty simple. It’s all of us. We’re the people who’ll use the pool. We’re the people who want something better for our beach, better for Tynemouth, and better for the North East as a whole. And most importantly, we’re the people who genuinely do have the power to make this happen. So… we’re proud to announce that we’ll soon be launching an exciting Community Shares Offer early next year, so that everyone has the opportunity to dive in and play a huge part in the future of the pool. We’re incredibly excited at the prospect of opening up ownership of this amazing project to you all, but right now we’re still working on what the final share offer will look like. So, if you’re interested in being part of it – and we’re sure that you are! 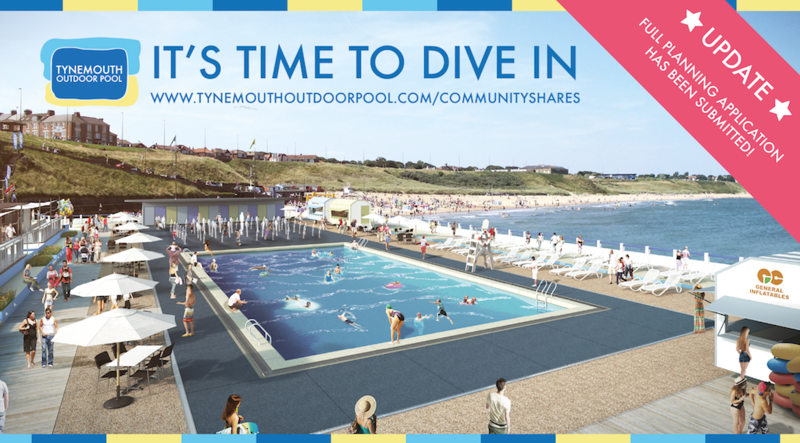 – we urge you to register your interest at https://www.tynemouthoutdoorpool.com/communityshares/ and tell us what you think.